JULY 2016 was the hottest month recorded globally since records began, according to data published by NASA. Parts of the Middle East had daytime temperatures over 50C, which for those of us from the cool, damp north almost beggars belief. For folk travelling around the NC500 this summer it was certainly cool and damp, with the NASA temperature maps showing a cold blue blob over the North Atlantic, demonstrating that climate change driven by increases in CO2 affects differing parts of the globe in quite different ways. While some sweltered in the desert, and Louisiana flooded as the Mississippi broke its banks, households in the north were lighting open fires and stoves to keep the Highland summer damp and chill at bay. People burn wood, coal and sometimes blocks of peat. Visitors often remark on the distinctive aroma of peat fires that you can smell in crofting townships across the north and west, the heavy blue-grey smoke drifting in damp still evenings. Peat pretty much fuelled the north Highlands for most of the past two thousand years, providing heat for cooking, metalworking and lime production and warming buildings from the meanest cottar’s hut to Dunrobin Castle itself. These days, while the use of peat as a fuel is marginal, the vast peat mosses, the thousands of square kilometres of blanket bog, “the Flow Country”, are now playing an important role in Scotland’s efforts to mitigate CO2-induced global warming. Peat bogs and mires are one of the defining landscape features of Caithness, Sutherland and Wester Ross. Peat itself is the accumulation of partially decayed vegetation (heather, moss, grass) built up over thousands of years in the dampness of peat bogs and mires. Peat occurs in damp conditions, with water preventing the flow of oxygen from the atmosphere, slowing rates of decomposition. Blanket bog, the landscape companion of the NC500 traveller, occurs where the average rainfall is higher than the average evaporation, leaving a damp landscape where peat forms at the rate of 1mm a year, growing to form deep bogs of wet, dark, decayed vegetable matter. Peat has played a critical and now almost forgotten role in the human history of the north Highlands. Just about halfway around the NC500, on the flank of a modest hill, is a peat bank where my family has been cutting fuel for over 50 years. We don’t cut much these days, just putting in a few hours here and there on nice spring days, so the bank now grows slowly. Its position, however, is classic north coast, with a gleaming sea loch to the north, fringed by crofting townships and overshadowed to the west by dramatic mountains. South are the broad deserted straths of central Sutherland, under skies that are almost otherworldly in their vastness. Beyond them are the miles and miles of Flow Country blanket bog. It’s a good bank, on a slight slope, naturally draining and deep, two cuts deep. When you flay the top turf of heather and moss, and carefully set it down on the floor of last year’s scar (to start the process of peat formation all over again), the first cut of the tusker (or peat spade) gives you a light, slightly fibrous peat, good for catching a fire, and for bright yellow flames. But it’s the second cut that’s the real prize. You lift a dark, dense, solid peat, exposing glacial clay and ancient bedrock that has not seen the light of day for three or four thousand years. When dried after a few months of Sutherland sun and wind, you get a dense fuel, of the deepest and darkest blue, that burns almost as hot and smokeless as the best Welsh steam coal. In the nearly treeless north Highlands, peat was almost the only fuel available until quite recent times. The effort required to cut it, dry it and transport it home was quite intensive, requiring weeks of work in the spring to cut and lay out for drying, days spent turning and stacking the peats, then the effort of carrying them home. If you look at crofting townships carefully you can often see a distinct but overgrown path leading from the houses up the hill to the historic peat bank. People, especially women and children, would make daily trips of several miles to collect a basket of peats for the household fires. The availability of tractors and lorries in the interwar years did a lot to reduce this human effort, but it is important to remember that a lot of families cooked and baked on peat-fired stoves until the 1970s. In fact as late as 1964 my family moved into a brand new house, with a gleaming new peat-fired Rayburn providing all the cooking and hot water. In a curious gender role reversal my dad would stop by the bank on the way home from work and put a bag or two of peats in the back of the car for the next day’s cooking needs. Of course there is one Highlands and Islands product that literally could not exist without peat: malt whisky, whose distinctive flavour is underpinned by the peat smoke used to dry the malted barley. Distilleries are common on the eastern flank of the NC500, from Inverness to Wick, with a strong cluster in Easter Ross. A proper tour from Glen Ord in Muir of Ord, through Dalmore, Teaninich, the grain plant at Invergordon, Glenmorangie, Balblair, Clynelish and Pulteney, to the north’s newest at Wolfburn just outside Thurso, would probably take as long as a complete trip round the whole NC500. Peat was used traditionally to heat the whisky stills, but its smoky flavour comes from its use in drying the sprouting barely, which is then fermented to start the whole process. Very few distilleries produce their own malt these days, preferring to buy differing “strengths” of peated, malted barley from one of the specialist producers. By a strange coincidence one of the north’s larger malting plants lies just at the start of the NC500 route in Inverness. Visitors waiting at the Kessock Bridge lights often head north or west through a faint fug of peat fumes as the whisky industry’s key raw ingredient is prepared. With such a huge potential resource, it is no surprise that there have been a number of attempts to industrialise the use of peat, both as a fuel and as a chemical feedstock. There was an experimental peat-fired power station at Altnabreac in Caithness in the ’50s (using a modified jet engine!) and historically peat has been extracted at large scale for use in biomass plants, and for creating activated charcoal for medical use. Countries such as Finland, Russia and Ireland have quite extensive peat extraction industries. This type of use is declining, however, with the realisation that peat, and peat bogs, are actually more valuable left in situ, as healthy peatlands have a very important role in fixing atmospheric carbon, i.e. being a “carbon sink”, supporting freshwater quality, and have a major role in being the home for specialised bog plants, birds and other wildlife. THE Cromarty Bridge pauses at a couple of lay-bys, always full of visitors’ cars. It’s a popular viewing point for spotting wildlife, especially the seals that bask on the rocks by the shore, and for vistas over the Black Isle and the Ross-shire hills. However, when the tide is completely out, something else can be seen: the sodden remains of ancient fishing boats, laid up when their crews, local Royal Navy reservists, were called up to serve in the First World War. When the survivors returned in 1919 the principal market for their herring, Russia, had collapsed in the aftermath of the Bolshevik revolution, so these boats were abandoned. It’s difficult to visualise from a few wet planks and skeletal ribs, but these ships, Zulus and Fifies, were the height of technological development in the late 19th century. They were built to be fast and manoeuvrable to get perishable cargos to port and salted as quickly as possible, and had a huge single sail in the bow to maximise deck space. Controlling this enormous amount of canvas, the peak of Victorian sailing technology, needed a small but powerful steam engine to help raise, lower and manage the sails. In fact, the steam boilers can still be seen in the bows of the wrecks at Ardullie Point, lost, rusty, weed-covered cylinders. So these ships were hybrid technologies, mixing two power sources to maximise the impact of both. They were also the final flourish of thousands of years of sailing ships, the last descendants of the Viking longships that created the culture and societies of the North Atlantic, and which helped mould the links of kinship, clanship and power which defined how people lived in the north Highlands until all were swept by the twin impacts of politics and industrialisation. Coal powered the donkey engines that made these sailing ships work, and coal drove the Industrial Revolution, and the huge profits from English collieries provided the capital that allowed the Sutherland estates to embark on their infamous programme of agricultural transformation, today known as the Sutherland Clearances. The landscape and human impact of these are still seen all over the route of the NC500, creating the empty straths and populated coastal fringe across Sutherland, Ross and Caithness. So it was these new coastal towns, harbours and crofting townships that drove the route of the rails and stone quays of modern coal-fired technologies, steam trains and steamships, opening up the Highlands north of Inverness after the trauma of the clearances. The trains, with stations in Thurso and Wick for the north line and Kyle in the west, were critical for transporting the region’s natural products including fish, game, cattle and sheep to market, and enabling tourism to develop. Large parts of the NC500 were of course untouched by rail, with over a hundred miles of coast from Thurso to Lochcarron still dependent on gravel single-track roads, and small steam puffers to move coals, building materials and agricultural products. Indeed, an Orkney company operated a grocery store on a small coaster that served west and north coast communities up to the 1940s, until replaced by the ubiquitous mobile shop in a Bedford van, most famously operated by Burr’s of Tongue. Yet it was the train that allowed the opening up of the area’s natural deep-water anchorages for the huge iron and steel battleships and battle cruisers of the Royal Navy. The Cromarty Firth, Scapa Flow, Loch Eriboll and Loch Ewe were all strategically vital for navy bases from the Crimean War to the Cold War. It was only when the nuclear threat removed the need for such steam-powered monsters that the region’s deep harbours turned their swords into ploughshares or, in this case, oil rigs. The impact of steam was such that it even changed the nature of the seabed. Admiralty charts for the Cromarty Firth and Scapa Flow record bottom conditions as muddy ash and clinker, the detritus of thousands of tonnes of coal burnt to produce the high-pressure steam that carried the dreadnoughts to battle at Dogger Bank, Jutland and the North Cape. Ships were also left on the seabed, victims of Britain’s notoriously unstable cordite explosive. HMS Natal and HMS Vanguard both succumbed to internal explosions at anchorage, with major loss of life. The economic impact of military bases was transformational for Highland communities. Invergordon was a major dockyard in both wars, Cromarty and Poolewe major naval and army bases, and new fortifications were built on cliff-tops right around the NC500, many cheek by jowl with their Norse and medieval equivalents. Thurso was the terminus of the famous Jellicoe Express, trains carrying sailors and admirals from the south coast to the fleet in Scapa Flow. The north Highlands had its own little industrial revolution, its own little Leeds or Motherwell – not that you would know as you drive through Brora today. Maybe you’d notice the strange red-brick terrace that lines the A9, buildings that would not look out of place in Plymouth or Newcastle. Or the collections of large industrial-scale buildings, looking sadly underused – the long-lost brickworks, and the still active distillery. Brora and its industries were based on Britain’s most northerly and, in geological terms, most unusual coal mine. As a colliery, it’s completely vanished, unlike the bings and pit heaps seen elsewhere across Britain. Most coal in the world comes from the carboniferous (coal-bearing) period. You might remember the illustrations from children’s books of the 1960s – great swampy forests of fern-like trees, with huge dragonflies, rotting down to fuel an empire. Brora coal was much younger, from the Jurassic period, the time of dinosaurs, and also from the time that most North Sea oil was deposited. 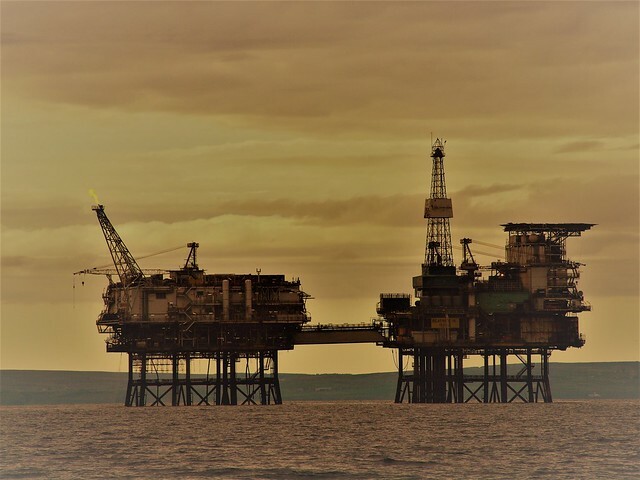 It’s no coincidence that the Brora coalfields are within sight of the platforms of the old and now exhausted Beatrice oilfield in the Moray Firth. The exploitation of the Brora coalfields started in medieval times, when folk started digging out outcrops that were exposed on the beach, and in industrial times a number of deep pits were sunk. The mine enabled coal-powered salt pans (for preserving fish and game), a brick and pipe works (for agricultural improvements and field drainage), a woollen mill and a distillery. Brora was the hub of the Highlands’ own industrial revolution powered by its own little colliery. There was a catch, however: Jurassic coal is just not a very good fuel. Smoky, dirty, ashy and full of iron pyrite (fools’ gold) it had the distressing habit of spontaneously bursting into flames on exposure to air. It was also full of fossilised plants, making Brora a place of special interest to Marie Stopes, the Victorian pioneer of birth control, whose other passion was, in a wonderful example of 19th-century eccentricity, the study of Jurassic flora in coal balls. By the late 1960s, after a couple of centuries of indifferent coal production, the inevitable happened. With the mine shut for its annual holiday fair fortnight, and most of the workforce at the Highland Games, the mine caught fire. It was only put out when the fire brigade diverted the River Brora down the shaft to swamp the flames. Even as a wee boy I remember the universal despair across Sutherland at the loss of the pit. A new shaft was sunk with the help of the HIDB, but it lasted only a few years before spluttering to an end in 1974. By then, North Sea oil and gas had started an industrial bonanza that in a few short years brought new wealth, jobs and investment to communities and crofts right around the NC500. Miners to welders, labourers to riggers, coalmen to fitters, crofters and farmers’ wives to cooks, secretaries and in some cases specialist welders. Coal was dead. Long live the new king, oil. THE North Highlands are old – geologically ancient, with some of the oldest rocks on Earth forming what is now north-west Sutherland. It’s an area that is rich in primeval fossils, with Caithness having been part of a huge lake, teeming with long-extinct armoured fish. Mountains were scoured by glaciers, leaving long sea lochs and wide sandy beaches. Limestone caves concealed the bones of wolves, bears, lynxes and arctic foxes, Ice Age animals no longer found in Scotland. Yet people have been here since the end of that Ice Age, 8000 years ago, although we only started making a permanent impact on the landscape with the introduction of farming in the late Stone Age, leaving a wealth of archaeological features, standing stones, chambered cairns, brochs and cliff-top castles. A few years ago I was chatting to a north farmer about an ancient burial mound on her ancestral property. She was showing us some artefacts that had been recovered from the site, mainly classic Neolithic pottery, with one item showing tiny marking around the rim. Closer examination showed it was made by the careful application of a thumbnail, repeated hundreds of times around the urn, in an intricate spiral pattern. Reflecting on the quality of the 4000-year-old pot, she then made a fascinating observation: “You know there’s probably only about 150 folk between the wifie who made that urn and me, hardly enough to fill a marquee at the County Show.” Four millennia seems a very long time, but defining it in family generations makes you think about the passage of years in a quite different way. All your ancestors just filling the floor at a wedding dance. So looking at the NC500 in human terms, rather than as a 509-mile route of winding tarmac, does give a different perspective in both spatial and chronological terms. As a marketing concept it’s the same age as my two-year-old grandson; as a continuous route it was only completed in the past 40 years when, in 1975, the A8961 Shieldaig to Torridon road was finally opened to cars; for my grandfather it was driving along the north coast on single-track gravel roads, and for my great-great-grandfather, walking to Caithness after his family had been cleared from Strathnaver, it didn’t exist. The coastal road around the north Highlands is a product of the fossil-fuel age, where cars (and trains) have transformed the north of Scotland, and in the process fundamentally changed where people live and how they use the land and sea. You get a glimpse of this in the first dramatic views you see travelling north out of Inverness, after the Tore roundabout and before you pass the Culbokie turn. The panorama here is a good indicator of what you will see as you drive on around the next 500 miles: a green verdant coastal strip, heather-clad uplands with trees marching away to the snow-capped mountains of the Highlands. The road snakes around the coast, passing through the occasional historic burgh, a series of small farms and crofting townships. The farther north and west you travel the cliffs get bigger, the roads narrower and the mountains seemingly higher and closer to the road. If you detour into the broad straths of the east or north, or pause to look up the Highland glens of the west, they are empty and deserted, with just the occasional ruined croft house, miles of peat bog, or the green of forestry plantations. People tend to assume this landscape has been unchanged for the past couple of millennia – a populated coastal fringe; great beaches backed by farms and crofts, interspersed by dramatic cliffs; stone-built little towns clustered around historic harbours; all framing a wild, mountainous, empty interior. But no, it’s a pretty modern landscape, driven by the agricultural revolution of the early 19th century, the associated political upheavals of the clearances, and the hydro power, oil and gas, transport and renewable energy revolutions of the 20th century that created the modern Highlands and Islands. So, for 145 of the 150 generations of that farmer’s families, the route of the NC500 wasn’t on the land, it was by sea, the movement of people and goods only really possible by water. And the fascinating paradox was that, unlike 2016, the vast majority of folk didn’t live by the coast but inland on the broad fertile straths, raising cattle, growing oats and barley. 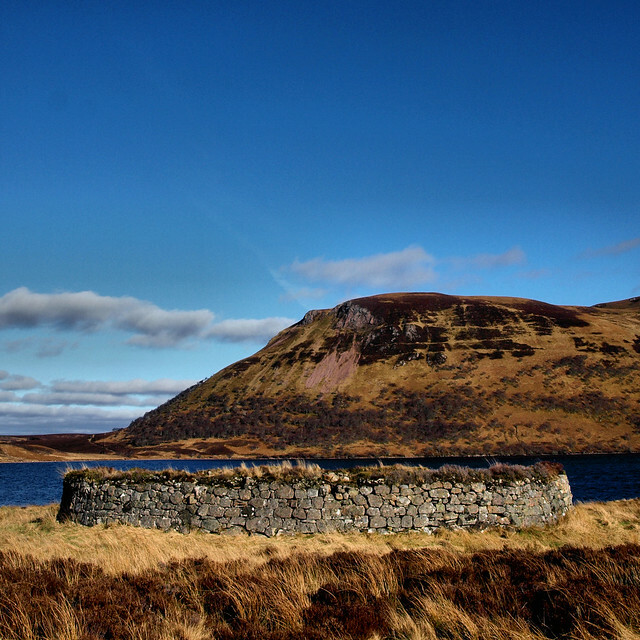 The mountains were a valuable resource for seasonal grazing, with summer houses – “shielings” – found high on the flanks of hills now classified as “wild land”. The produce of this agrarian economy – meat, hides, tallow, butter – was shipped through the small trading burghs clustered round river mouths: Dingwall, Cromarty, Wick, Thurso, Inverness. The “humanscape” of the Highlands, from prehistory right up to modern times, was dependent on people’s ingenuity in maximising the fertility of the land, in capturing the power of the wind, and living with the power of the sea. Now, as the Highlands and Islands starts to think about a future that is maybe not quite so reliant on fossil fuels, a future that includes both a healthy landscape and humanscape, we are entering a new era which will also depend on maximising the potential of the land, exploiting the power of the wind, and capturing the power of the sea. TODAY people in the north Highlands interact with the sea and exploit its resources in a way unimaginable to past generations. 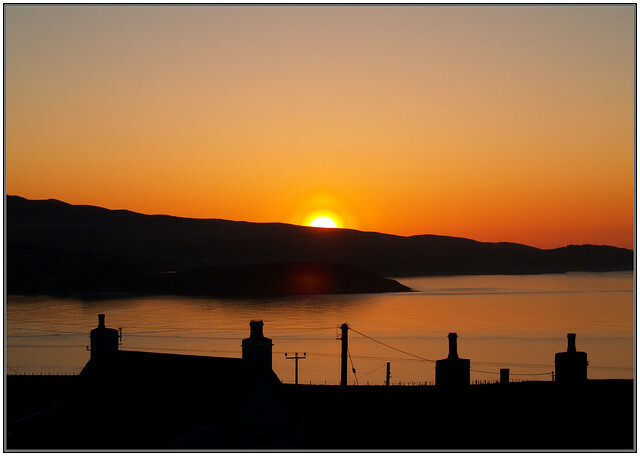 One of the best examples can be seen looking out from the A9 once you pass the Berriedale Braes north of Helmsdale. In all but the murkiest weather, the oil platforms of the Beatrice and Jacky fields can be seen, unique in being the only North Sea installations that are visible from land. 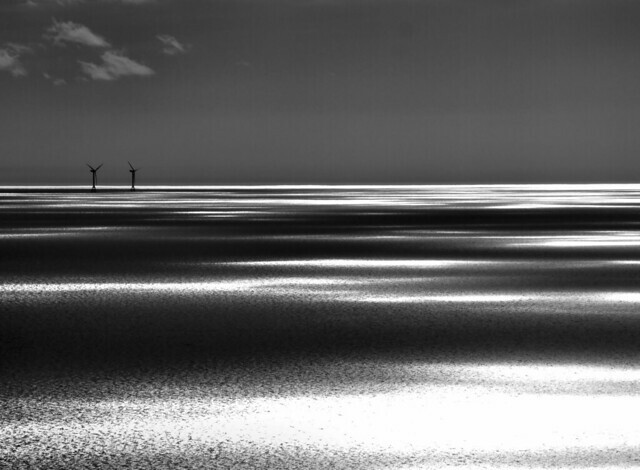 Beside them are the twin turbines of the Beatrice demonstrator wind farm, now 10 years old and the world’s first deep-water offshore wind project, built to prove that large, efficient turbines can be installed in deep water where the wind is strong and constant. The next few years will see this two 5MW turbine experimental technology demonstrator supplanted by 84 7MW turbines, producing 588MW. Considering that all Scotland’s hydro-power stations produce just over 1.5GW, that’s a lot of electricity from just one project. 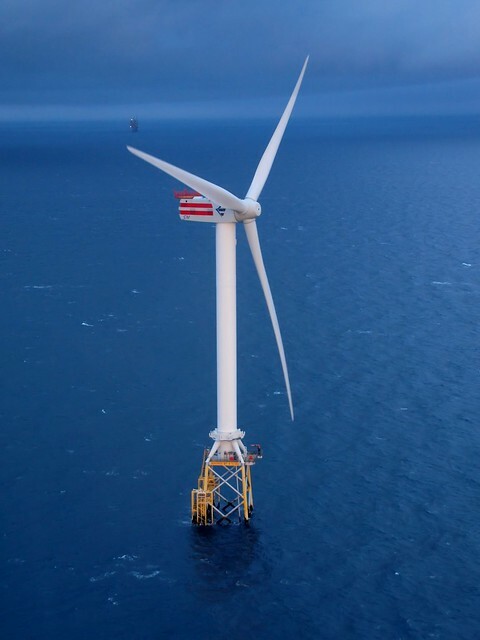 Led by Scottish and Southern Energy (SSE), the impact of the Beatrice Offshore Wind Limited (BOWL) project – with a capital expenditure of £2.6bn and a three-year construction period starting in 2017 – will be seen right up and down the east coast of the NC500. Nigg Energy Park at the mouth of the Cromarty Firth will be the construction port, where components from all over Scotland and Europe will be delivered, stored and assembled into complete wind turbines. The firth’s usual ranks of oil rigs will be joined by strange hybrid offshore wind farm construction vessels, part ocean-going barge, part jack-up rig. These will load up with half a dozen Siemens turbines at a time, and sail out through the Sutors to install what are some of the world’s largest machines in the seas of the Moray Firth. But it will be the town of Wick that will best feel the long-term impact of what is effectively an offshore power station. The old fishing harbour will be the operations and maintenance base for the BOWL project and SSE is building a new control office right on the quayside. It will also be the home to a fleet of fast workboats that will ferry engineers out to the turbines in almost all weathers, and Wick John O’Groats Airport will be the base for helicopter operations. With an initial planned lifespan of 25 years, the effect of this wind farm will resonate across the north of Scotland for decades to come. And, in a curious way, especially for a town whose glory days were in the herring boom of the 19th century, it will mark a return to a more marine-based way of life for the engineers and technicians who will maintain and repair these enormous machines. The route of the NC500 passes many monuments left by the generations who have lived in the northern Highlands. Some, like the set of thirty 5000-year-old cup and ring stone carvings at Loch Hakel under Ben Loyal, you have to work very hard to find. Some, like the dome of the Dounreay Fast Reactor, are pretty hard to miss. The Beatrice wind farm will be a distant monument for folk travelling that stretch of the NC500, glimpsed on the horizon, moving in and out of sight of the A9 as the wind, rain, sun and mist change with the time of day, and the season. There is a final sting to the tale. As the Beatrice wind farm is being built out, the Beatrice oil complex will be decommissioned and eventually removed, having reached the end of its hydrocarbon-producing life. Fossil fuel replaced by renewable energy, with the power of the wind once again being at the centre of how people live and work around the NC500. ONE of the cleverest marketing concepts I’ve seen in recent years has been distinct in its simplicity, and has been promoted almost exclusively through social media. It’s deceptively straightforward, at its core a rebranding and repackaging of existing features of the north of Scotland. In this case it’s the network of roads and their associated landscapes and peoplescapes that define the coast and hinterlands of the Highlands north and west of Inverness. It is, of course, the North Coast 500 – or, for the Twitter-savvy out there, the #NC500. Dreamt up by those clever people at the North Highland Initiative in Caithness and billed as Scotland’s answer to the USA’s Route 66, the North Coast 500 has only been around for just over a year and already is recognised as one of the world’s top 10 coastal road trips. Facebook, Twitter, TripAdvisor and YouTube are all full of people’s blogs, reviews, videos and photos of their travels along the route. Vintage car convoys, TV teams, endurance cyclists, walkers, runners and old-fashioned tourists have all recorded online their experiences of Inverness, Wick, Durness, Ullapool, Applecross and all points between. I must admit I’ve watched this developing phenomenon with real interest, as I’d consider myself a real north coast boy, born in a house that looked north over the Pentland Firth, and apart from brief sojourns in Shetland and Glasgow I’ve lived and worked on or by the blue line of the NC500 for all my life. I guess I’ve also driven all its 519 miles (some sections many, many times), often flown over it en route to Stornoway, Benbecula, Wick and Kirkwall airports, taken ferries to the islands from Scrabster, Gills Bay and Ullapool, walked large chunks, and climbed quite a few of the hills and mountains that overlook its network of A and B roads. For someone like me who lives and works in the north Highlands, reading or viewing people’s experiences of northern Scotland through the prism of the North Coast 500 is a fascinating experience. Words such as “landscape”, “heritage”, “whisky”, “sea”, “sun”, “beaches”, “archaeology”, “remoteness”, “drama”, “roads”, “local produce”, “midges” and “green” tend to predominate. There is also a lot of discussion about “wild land”, “wilderness” and “living on the edge”, as you would expect from a group of visitors who are mainly from urban areas and for whom the attractions of the Highlands and Islands are often nature, culture, heritage and landscape. Yet I guess I’m not alone in having a number of “mental maps” of the roads and byways around the northern Highlands. When I think about the view of the Cromarty Firth and Black Isle from the Fyrish monument above Evanton, I’m also thinking about the ranks of oil rigs marching up the firth towards Nigg, and the distant wind farms on the Struie. When I think about the vista of Caithness sea cliffs marching north from the Ord, I’m also looking east to the Beatrice offshore turbines. The road west of Thurso means those huge north coast skies, and flagstone dykes, but also Dounreay’s famous dome. Lochcarron is the gateway to the Bealach na Ba but also Kishorn Port. Beauly is a delightful Highland village, great for shopping, and is close to the most accessible hydro dam and fish ladder in the area. Yet one thing I’ve noticed is that, in all the online reviews of the North Coast 500, I’ve yet to come across any real negative comments or observations around these human additions to the landscape, almost all designed to produce the energy without which any modern 21st-century society cannot function. Wind farms always come in for criticism, but I’ve not seen that evidenced widely in visitors’ reaction to the landscape of the north coast. 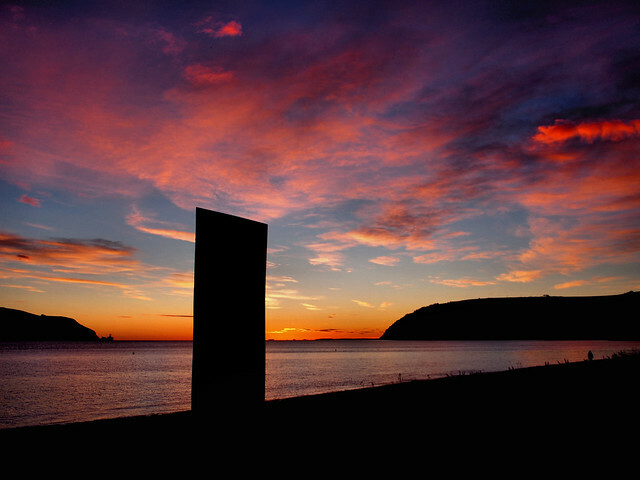 There is the occasional letter in the local newspapers about the “clutter” of rigs in the Cromarty Firth, but I’m always surprised by the number of positive visitors on the photography sites I frequent, raving about the dramatic visual impact of large man-made structures in a natural environment. I guess what I’m seeing is perhaps a growing maturity in visitors’ interest in the whole of the north of Scotland. Of course folk want to visit Smoo Cave and climb Suilven, and whale-watch at John O’Groats, but many of the visitors I speak to are just as interested in how people live and work in the Highlands and Islands. So when they learn that I’m involved in the energy industry in the region, I tend to get bombarded by questions. How do tidal turbines work? What happens when the wind does not blow? Why do people cut lumps of turf from a peat bog? Are those oil rigs fixed to the sea bed? It’s evidence that there is a dramatic energy story right around the coasts of northern Scotland, and one that people – both visitors and folk who live here – are fascinated by. SO, over the next few Energy North editions, I’m planning an energy journey around the North Coast 500, from Inverness to John O’Groats, onwards to Durness, stopping off at Scrabster, then down to Applecross and back across to the Highland capital. I’m not promising to travel sequentially, but I hope to give an insight into how the impact of people, and how they gather and use energy of all types, whether it’s the muscles of people and their animals, peat, coal and wood, wind and water, oil, waves or the power of the tides, has shaped and will continue to shape northern Scotland. 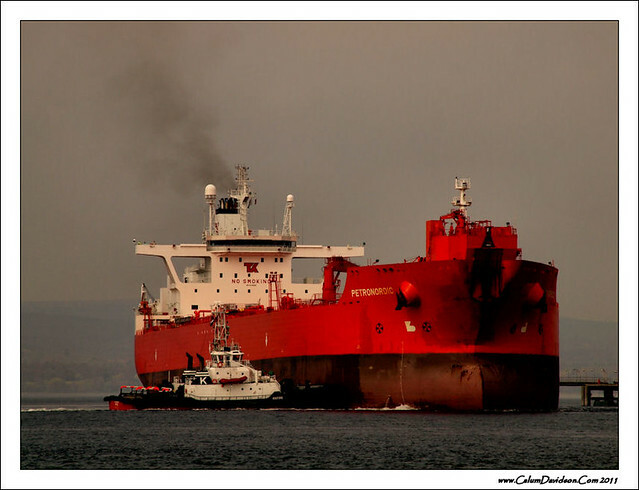 End of an Era – last oil shipment from Beatrice.